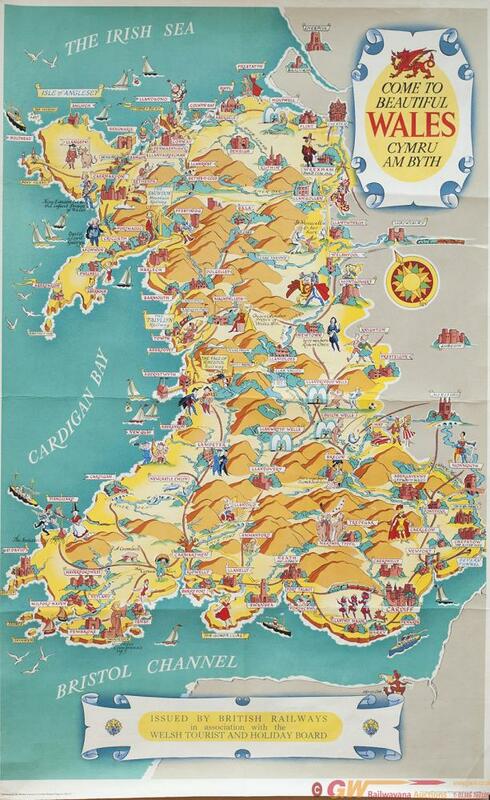 Poster BR COME TO BEAUTIFUL WALES CYMRU AMBYTH by KERRY LEE circa 1952. Double Royal 25in x 40in. In good condition with folds.